Within Plaza Las Americas is Magritte Chocalatier. 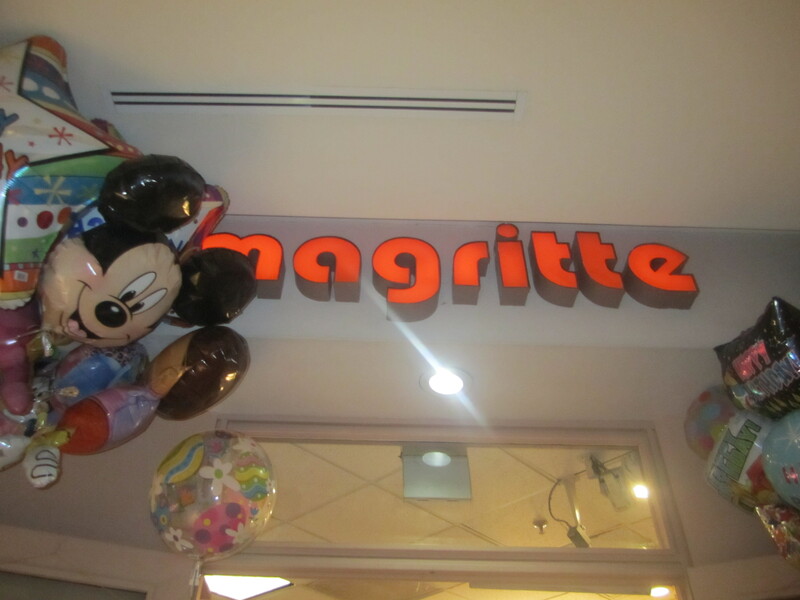 Magritte has been a candy institution in the mall for over twenty years. The Willy Wonka candy world is filled with wide eyed children and yielding parents who select chocolate, fudge, gummies, nostalgia candy and lollies. 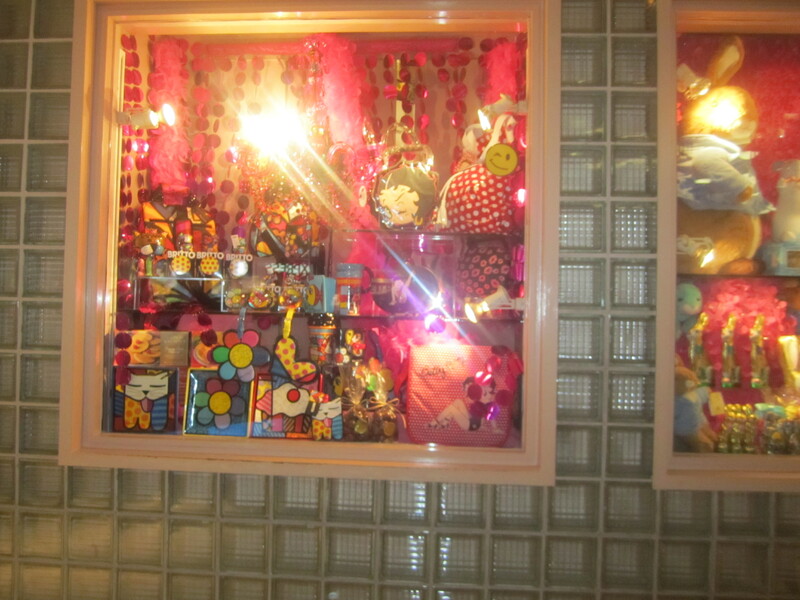 Magritte’s colorful window display filled with childlike wonder and propoganda. 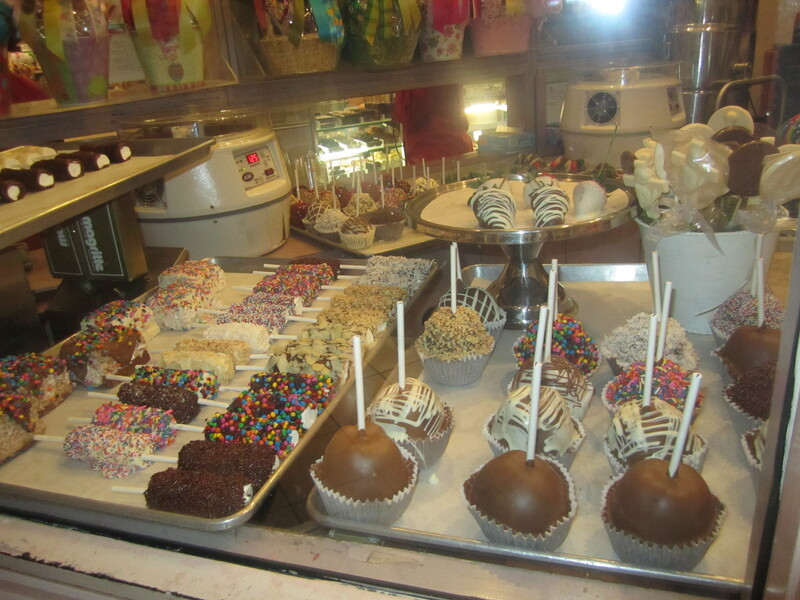 Our mouths watered when we spotted the chocolate covered marshmallows, apples and berries.